SYMP121A Modern Wreath Medium with Full Flowers [SYMP121A] - $300.00 : Hanamo Florist Online Store, Vancouver, BC, Canada, Quality arrangements using a plethora of the freshest flowers. Available from $225.00 or more. 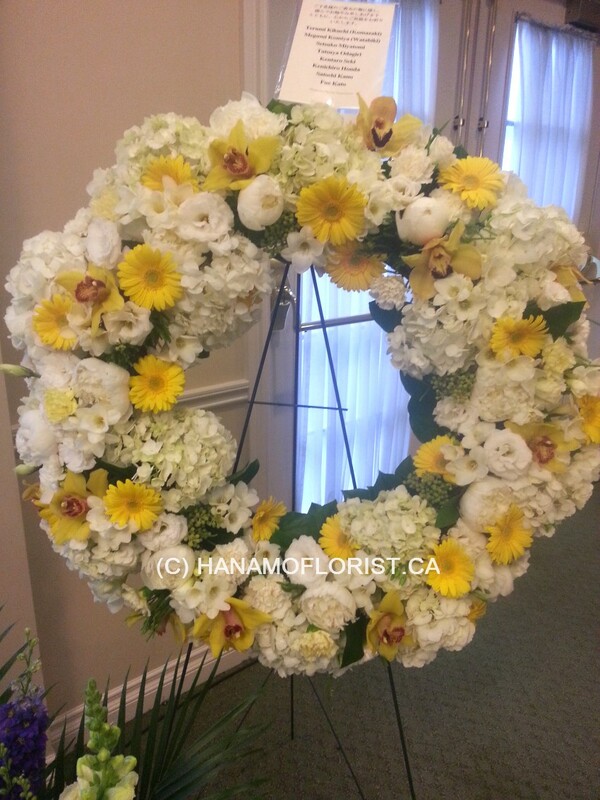 Banner at additional charge of $15.- Most elegant M size, wreath on the easel with full flowers of your colour choice. Sample is made with white with yellow flowers. 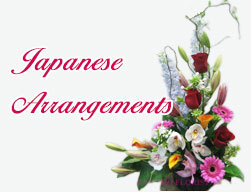 Flowers are seasonal and may be different from the sample picture due to the market availability. Requires 2 days notice or more. Hydrangeas may not be used for the service for 2 days or longer. < Approx. 28 inch diameter, in comparison with our SYMP008 this type is approx. 10 inch diameter smaller.